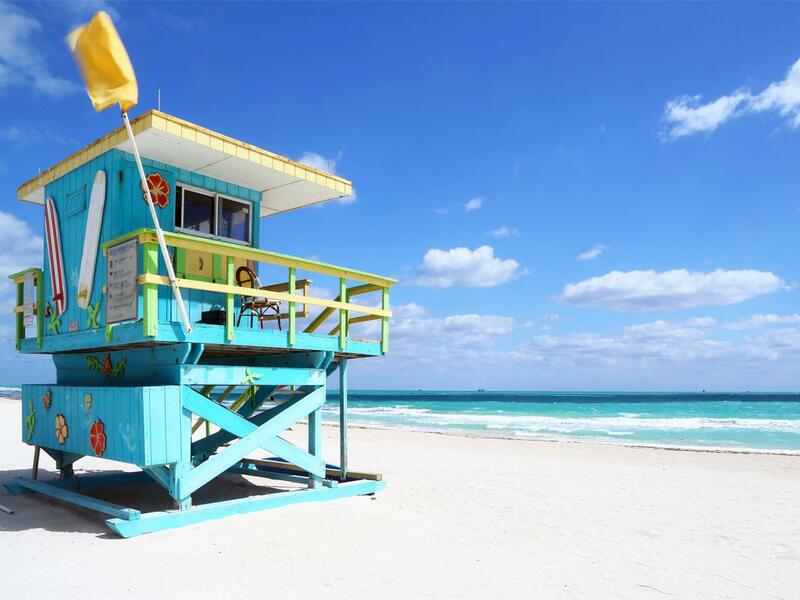 Beautiful and most famous Miami’s beach spot, it also serves as backdrop for some of the area’s most luxurious hotels and exclusive beach clubs. 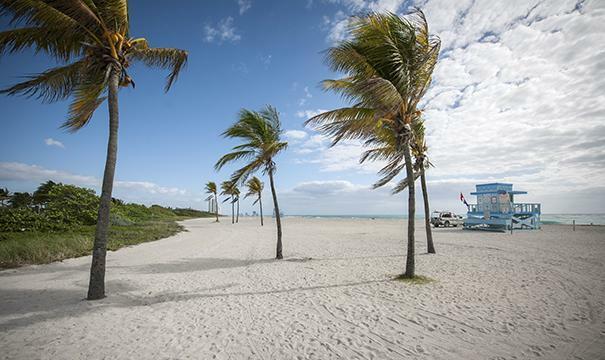 A dozen miles of amazing white sand, landscaped dunes, but also famous for its huge park ranked as one of the area’s most scenic stretches of beachfront. Residential and familial neighborhood smaller than a mile square, Surfside would be ideal for a small and private ceremony on the beach. 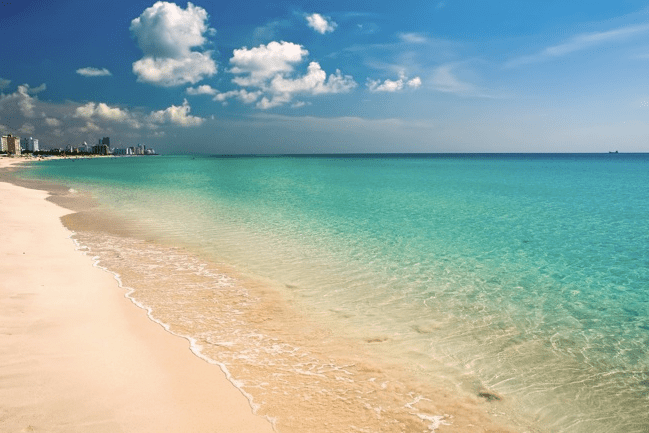 Sunny Isles Beach is a beautiful two miles long beach, surrounded by a mix of architectural kitsch styled buildings and luxury beach-side condos due to a boom in the real estate market. 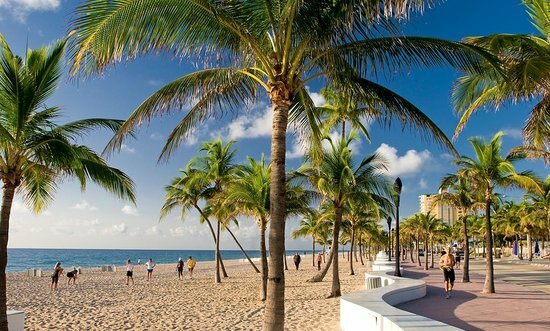 Contrary to Mid-beaches, Miami North beach is not too crowded and more family-oriented. Of course, it also offers large white sand and a little bit more privacy. 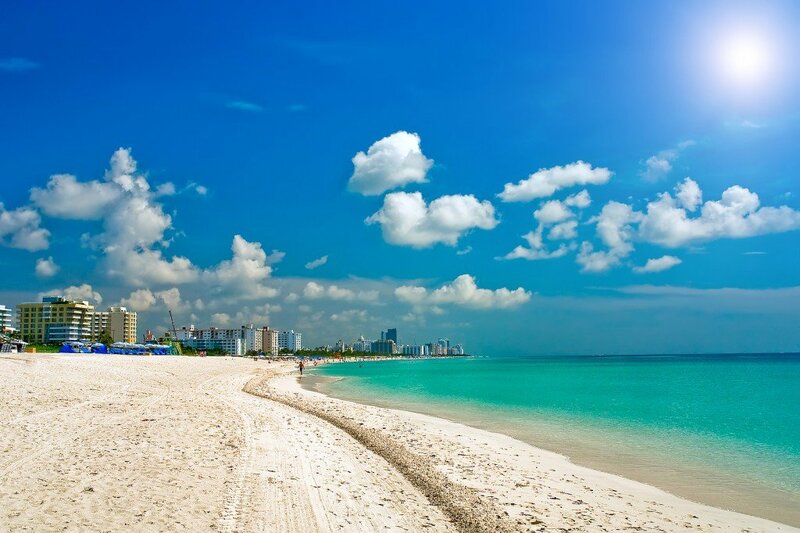 At Haute Couture Events, Key Biscayne is our favorite spot to get married in Miami. 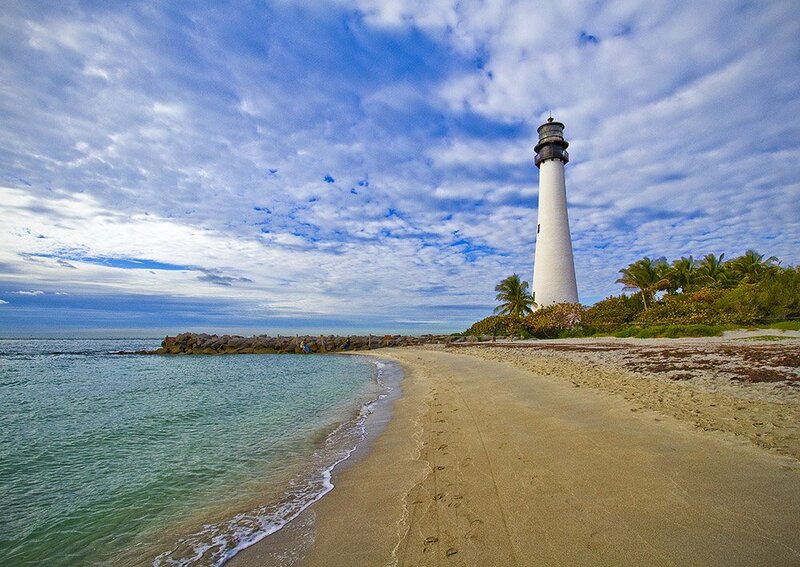 This place offers an amazing landscape for a wedding ceremony on the beach, with the beautiful Crandon Park surrounded by palm trees, “Caribbean” clear water, extreme white sand, barbecues and picnic tables; you will also enjoy the famous Bill Baggs Cape Florida Lighthouse, which is more than a simple lighthouse, being the oldest building in south Florida and a perfect spot for fun and original wedding pictures. 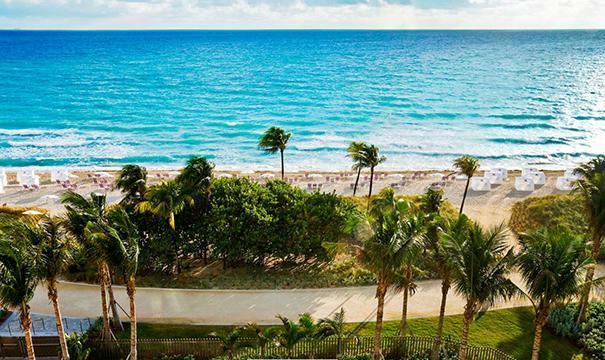 Bal Harbour situated in the north of Surfside is undoubtedly the place where there are the most millionaires per square feet than in any other city in the U.S. and it is also a safe and beautiful spot to get married in Miami Beach. Warning! 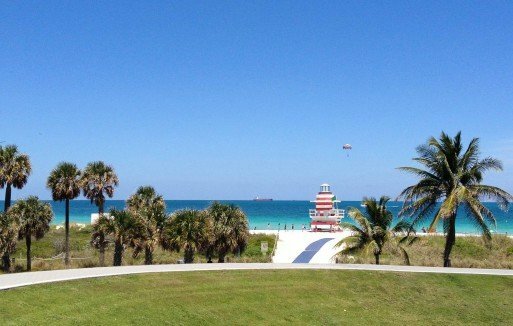 Unfortunately, wedding ceremonies are no longer allowed in South Pointe Park, and we wanted to make you aware about it to avoid scams from planners who promise you something which is not allowed by Miami Beach city hall anymore. However, this spot still is one of our favorite and we highly recommend it for wedding pictures. A wide and beautiful sandy strip with a brick promenade, ideal for a romantic ceremony on the beach. Looks like a honeymoon postcard; it comes complete with funky lifeguard’s cabana stands and coconut palms trees. An hour and a half drive from Miami, this tropical hardwoods place offers a huge panel of landscapes with winding creeks, botanical garden, and one of the most beautiful beaches in the world. Contact us and meet with our certified planners to realize your dream wedding in one the most beautiful places of South Florida.